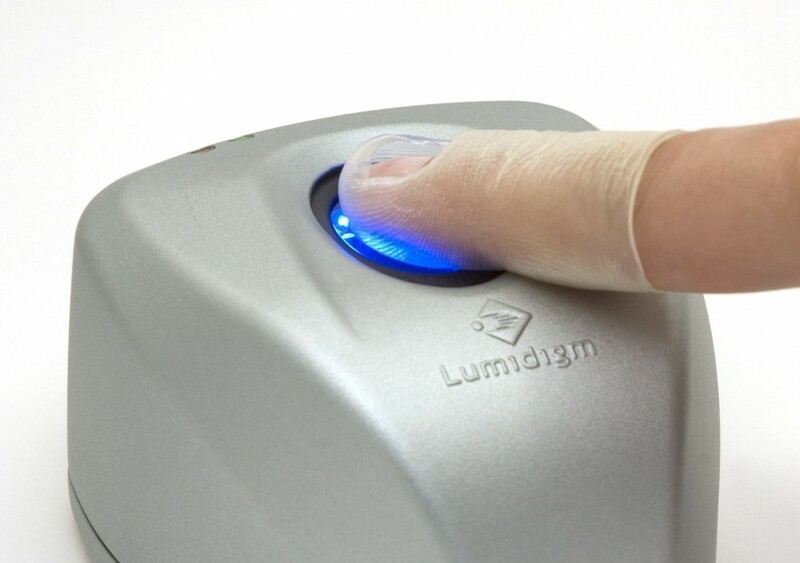 I saw the Lumidigm Venus fingerprint scanner for the first time at a trade show many many years ago. When I approached the Lumidigm booth, I saw Sujan Parthasaradhi & Matthew Ennis were demo-ing this sensor. I also saw some unusual items on their demo setup. They had a woman’s foundation pack, powder, cup of water, surgical Gloves and few finger props which looked out of a horror movie. They asked me to register my finger using the V-Series Sensor and the Venus SDK. Once I had registered my fingerprints,the fingerprint software was put in matching mode. I applied a thick layer foundation (on my finger, ofcourse) so much so that my fingerprint would not be visible. When I placed my finger on the fingerprint scanner, the V-Series sensor identified exactly who I was. I was impressed! Here was a scanner that could read fingerprints that had such a thick layer or dirt (in my case foundation) that I could not see my fingerprints, yet the scanner was able to detect who I was. Next, they poured some water on the scanner so that the fingerprint capture area was completely covered with water. Again it was able to identified who I was. This scanner is IP65 rated and is waterproof and built for harsh conditions. 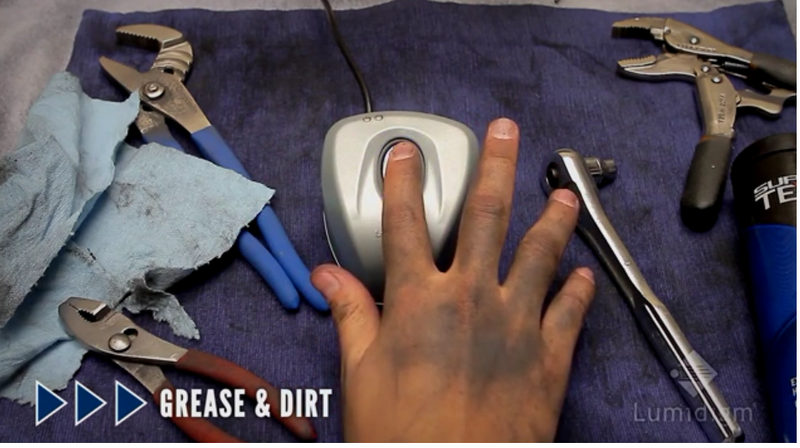 Then we applied some powder on my finger to represent a dry fingerprint and it still woked. The most impressive part was the Spoof Detection. Whenever they placed placed the fake finger, the scanner always prompted that it was not a real finger. It is important to note that spoof detection has not been perfected as yet by our industry. However, Lumidigm is one of the very few companies who spends lots of effort and energy in enhancing their Spoof Detection. I found the V300 scanner to be extremely sturdy and industrial grade. Most scanners used to be very delicate and “handle with care”. Multispectral imaging system uses multiple wavelengths of light to capture an image of both a person’s external fingerprint and their identical “internal fingerprint” — the foundational capillary bed. This allows the scanner to not only look at the outside surface of the finger but also the sub-layer of the finger. 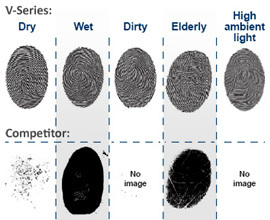 Since the outside layer might be damaged, capturing data points from the internal layer of the finger gives the template more datapoints to work with which ensures a good fingerprint template and thereby accurate enrollment and matching. The main benefit of this scanner is that apart from being able to enroll people with “good” fingerprints, this scanner can capture fingerprints that are hard to capture due to – age, dirt, damage and environment conditions. This scanner is ideal when you have to enroll users from varied backgrounds, professions, age groups etc. I would highly recommend this scanner for rural area projects where the fingerprints acquired are not of best quality. Let’s look at some of the places where this scanner has been deployed. In Brazil, you can withdraw money from ATM Machines using your fingerprints. Lumidigm’s biometric authentication solution is used at more than 100,000 ATMs in Brazil (three of the top five banks) and more than 25,000 bank branches in South Africa (four of the top six banks). 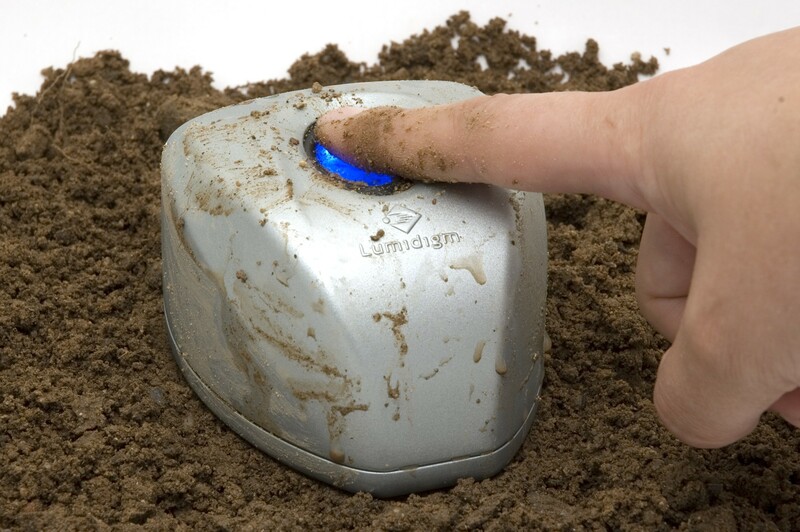 Lumidigm’s rugged sensors ensure that Bank do not end up spending additional money in repairing or replacing sensors. Banking applications require superior biometrics performance and advanced spoof protection for unattended operations like those required at ATM terminals. Our business partners are also looking for a technology that can perform reliably under a wide variety of environmental conditions and duty cycles and Lumidigm’s technology was designed specifically for excellent performance in all situations. 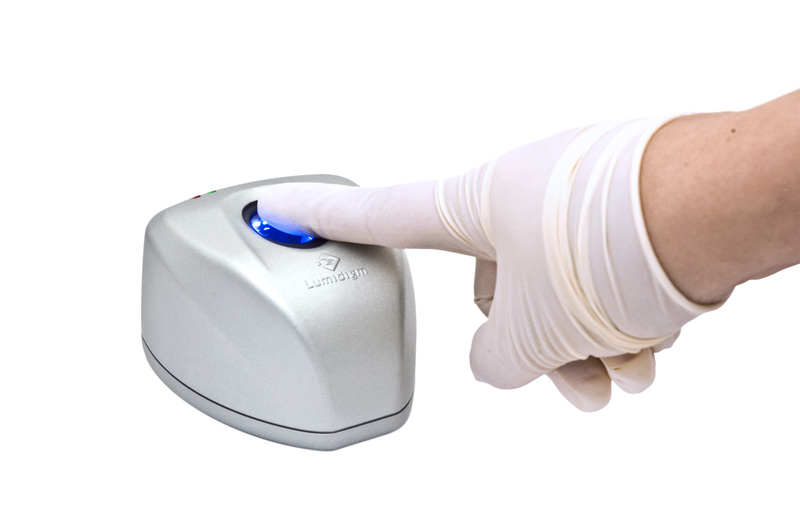 Lumidigm biometric sensors authenticate healthcare workers who access medical dispensing cabinets in hospitals around the United States. In Mexico, a public health insurance program relies on multispectral fingerprint biometrics to preventing fraudulent access to healthcare. Vactrac, a NGO based out of Washington DC, provides developing countries with the technologies and support they need to maximize the effectiveness of their vaccination programs. They use Lumidigm Scanners to improve immunization tracking which allows them to reduce waste and thereby vaccinate more people and save lives. A major international Theme Park uses Lumidigm scanners at park entries to reduce transaction time, enhance customer experience, and reduce ticket fraud. Busy Hong Kong and Macau border crossings leverage multispectral imaging technology to alleviate long processing delays while reliably authenticating over 600K visitors every day and identifying fraudulent fingerprints (spoofs). The Venus Sensor works with Windows and Linux Operating System. There is also an OEM Version available for this fingerprint reader. Our customers who have bought the Lumidigm scanners have been extremely happy with the performance of these scanners.